What a great giveaway hope to win!!! Maybe some day I will win. Love target! I already “like” you. Thanks for the opportunity! This sure would help my Target shopping each week! Thanks! I remember when McDonalds had plastic farm animals that you had to put together like this!! Would love to win this!!! Love your site! I liked you on Facebook! Happy Easter! yeah! I hope I win! Thanks for another giveaway! I love target! Ypur site is sso helpful! Thanks for all you do 🙂 Would be super excited to win! I already like Totally Target on FB. Went to Target this morning for deals. Would love to win, thanks!!! Follow Totally Target on fb – thanks! I already like the page on FB. Would love to win this gift card. Happy Easter! I like Totally Target. Happy Easter! Have a blessed Easter. Thank you for all you do. 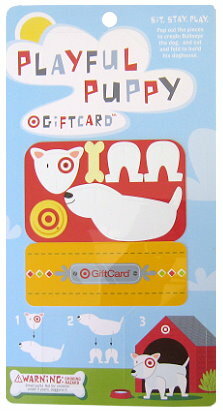 Would love a gift card to Target! Hope you and yours have a wonderful Easter!! I already “love” you on Facebook!